There’s no commercial project too big or small for the experts at Derksen Plumbing and Heating (1984) Ltd. Count on us to move your project seamlessly from start to finish, no matter what the size or scope. With 50+ years of experience working on commercial projects throughout the City of Winnipeg, the team of expert technicians at Derksen Plumbing and Heating (1984) Ltd. work tirelessly to make sure that every project runs according to schedule and comes in under-budget. Access to our Commercial Division at every stage. Access to our Design/Build team to plan and design mechanical projects. Individualized attention for every project. At Derksen Plumbing and Heating (1984) Ltd. we don’t just help design and build beautiful, functional, and safe commercial spaces; we also help you maintain them by offering reliable and high-quality maintenance and repair services. Ask us about our ongoing maintenance services, or contact us 24/7 for immediate emergency services. When it comes to new commercial projects or renovations you can count on us to work with you every step of the way. Our Commercial Division is available to design, draft and provide engineered mechanical drawings to minimize cost and maintain quality on all projects. Do you need help repairing damage caused by excessive wind, flooding, or other circumstances covered by your insurance? Then get in touch and contact our team about timely insurance repairs to restore your space to perfect working order. 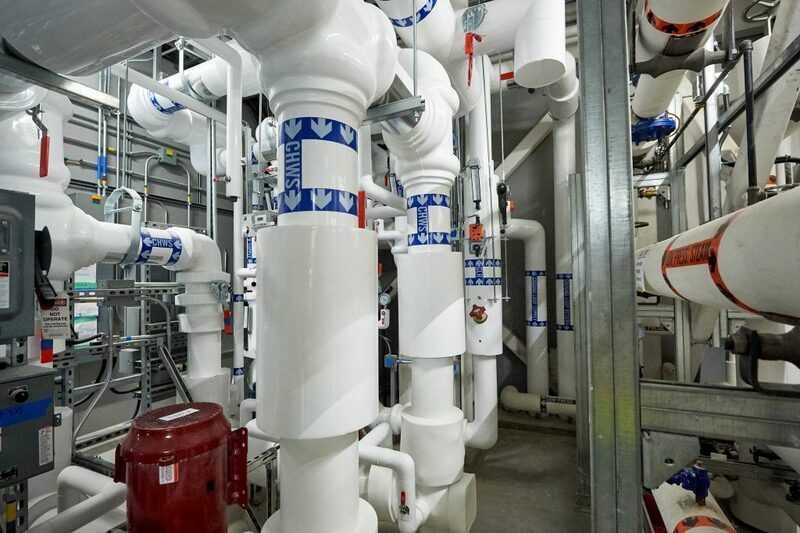 When you choose Derksen Plumbing and Heating (1984) Ltd for your next commercial project you aren’t just working with a team of experts with over 50+ years experience in Winnipeg; you’re also providing yourself with peace of mind knowing that we guarantee the highest level of service, solutions, and customer care. Building it Right, From Day One! Working with the team at Derksen Plumbing and Heating (1984) Ltd means you can expect the highest level of quality and attention to detail from day one. Our Commercial Division works closely with you through every step, from the design, to building, to maintenance, to ensure your new commercial space is properly built and under-budget. Even commercial spaces need a facelift from time to time. Work with our Design/Build team to develop, build, and install a space that meets your needs and budget, and count on our expertly trained technicians to deliver ongoing maintenance to keep your newly-renovated space looking and working like new for years to come. Providing hands-on, individualized expertise on every type of project.